Inserting an Article block into your email and Landing Zones gives you the ability to add articles without having to open the HTML every time you send a campaign. 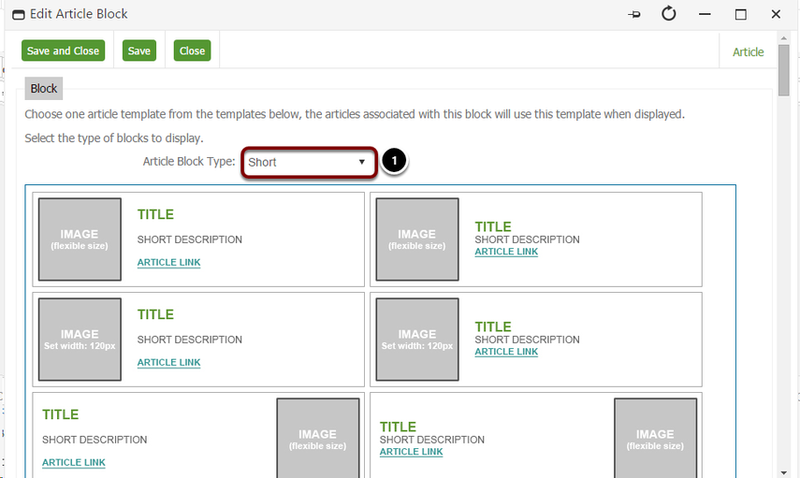 Place your cursor where you would like the block to go within your Email and select Insert Article Block on the right hand side of the editor. It helps you to identify different blocks within your email, especially if you have more than one. 1. Choose whether to have the type of Long or Short, typically short layout's will be in Emails and Long will be in Landing Zones. 2. 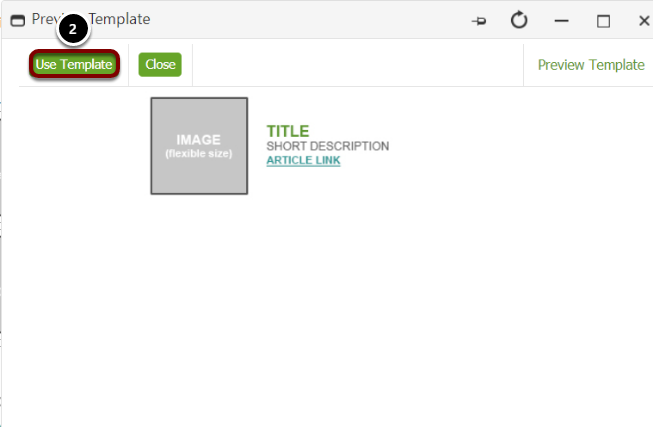 Clicking on each layout will enlarge it for you, once you find one you wish to use click 'Use Template'. Once you have chosen a layout click 'Show Style Options' to display the styling options. 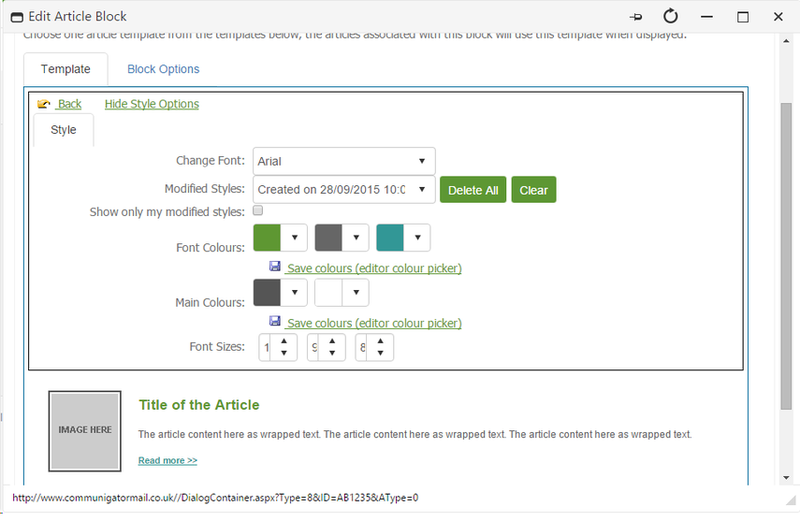 After you have customised your styles click 'Save & Close' to insert your Article Block into the email.